This is to notify you that we have removed access to your video, CBS’s Bob Wenzel Insults “Africans” During NCAA Tournament, as a result of a notification by CBS claiming that this material is infringing. This entry was posted in U.S. and World News on May 18, 2009 by admin. Three men, in a span of about five weeks, combined to kill nine cops and injure another. Joshua Cartwright, above, was a member of the U.S. Army reserves when he shot and killed two Okaloosa County (Florida) deputies after they Tasered him on April 25. 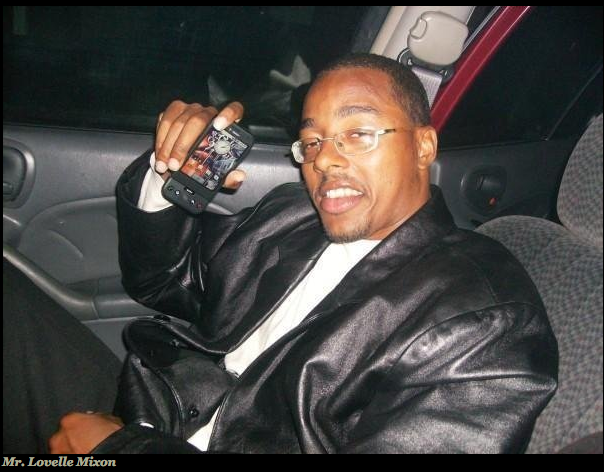 Lovelle Mixon shot five Oakland cops, killing four, after they tried to arrest him on March 21. This entry was posted in U.S. and World News and tagged Joshua Cartwright, Lovelle Mixon, Richard Poplawski on May 15, 2009 by admin. Former Hamilton County Sheriff’s Deputy Ray F. Robert filed a civil rights action against the county in the United States District Court of Indiana, claiming he was fired because he refused to be Tasered as part of departmental training to carry the weapon. This entry was posted in U.S. and World News on May 15, 2009 by admin. Fox News commentator Bill O’Reilly can say on his radio show, “if al-Qaeda wants to blow up San Francisco, go right ahead.” Texas governor Rick Perry can say “we (Texas) may secede from the union.” Euro-American male police can murder unarmed men and receive “quasi-judicial immunity” from any sort of liability, after of course, getting a paid vacation (paid administrative leave). GOP leader Rush Limbaugh can get caught several times with illegal drugs, and not get sent to prison.